Cytolean seems to be targeted primarily at bodybuilding types, though from their website you would think they’re targeting people from a decade ago. It doesn’t look like they’ve updated their website since then. When you take a look specifically at the type of ingredient Cytolean is putting in their product, you get excited until you see how much of each ingredient they’re including. The Feel Good Cytolean Gotcha! Green Tea Extract (though its only 60% EGCG). Green Tea is an effective ingredient for diet pills, increasing your metabolic rate. I reviewed green tea extensively previously. Phenylalanine is an effective appetite suppressant (see the phenylalanine review). Caffeine has been proven effective time and again as an effective thermogenic. L-Tyrosine has been shown to increase focus during stressful periods. I reviewed tyrosine as well. Phenylethylamine, which Ive reviewed, doesnt have enough research to justify the claims. Gingko Biloba is there to aid in improving your personality according to the sales copybut arent we trying to lose weight? Ginkgo Biloba is best known for supporting memory function. With an ingredient lineup like this (even including the eye candy), you’d think Id jump on the bandwagon recommending Cytolean. Well, I can’t. The Cytolean proprietary blend comes to a total of 667 mg hardly enough to pack all of these ingredients in there with any sort of punch. Remember, for a diet pill to be effective it must do two things: have the ingredients, and have them at at least the minimum amount. Cytolean fails with the latter. In their less-than-impressive website, they link to Cytolean Science and this is typical garbage behavior from some companies. They throw together that document with margins thin and line-spacing even thinner, using a font that crams letters together. The result is to throw a document at you that appears science-y but doesnt actually deliver any real clinical results. Most casual shoppers will see the Cytolean science document and 1) be impressed that theres science behind the pill while also being 2) intimidated by its presentation. This accomplishes Cytoleans desires of looking like theres research behind Cytolean while not actually having to present any research. And if Cytolean did have research behind them, you can bet they would have known that the effective dosages of the ingredients they included are actually much higher than what they’re giving their customers. 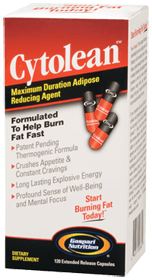 Cytolean is in a great position with their marketing because they’re really trying to push Cytolean as a pill that does help you burn fat, but also helps you feel good (thats why the phenylethylamine is in there, the love drug from chocolate). A lot of the other ingredients in there are supposed to support the absorption of phenylethylamine into the blood stream. The gotcha! comes because feeling good is hardly measurable and if its not measurable, its also not manageable. 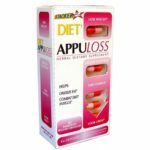 A diet pill can make the claim Lose 7 pounds in 2 weeks and thats measurable. But how can a customer measure how good theyre feeling compared to how they were feeling before? And please define good, very good, great etc. Cytoleans basically making a claim that cant be verified (until they decide to have some double-blind, placebo controlled, randomized, peer-reviewed studies done to support their claim. And even then, how will the study evaluate if a person is feeling good? I suppose theyll be able to monitor brain activity and go from there. Until then Cytolean gets a pass. Strong ingredients but there arent enough in there to make something happen in all likelihood. The feel good effect isnt measurable, which makes it very hard to verify. Overall, I’m going to pass on Cytolean until some research is done to determine its effectiveness. At the moment, given the aggregate size of their proprietary blend, its fairly safe to assume that its effects would be mediocre at best.